Everyone on the team has gone the distance and made it to Gorak Shep today! Gorak Shep is at 16,800ft and overlooks Everest Basecamp. We also have great views of Everest and Nupste, Pumori, and many other great peaks all around. As everyone is a little tired and feeling the altitude they have opted to skip going to the actual Basecamp as there isn’t really anything there right now but rocks and ice. I have been pointing out where Basecamp sits in the Spring and everyone seems more than satisfied with that. Basecamp is a sprawling camp in the Spring and I would guess encompasses over a half mile in length of the glacier if not more. Dave, Lorie, Sangam, Gopal and I hiked up Kala Patar in the afternoon today. Dave and Gopal Hiked a good 1/3 of the way before deciding to turn around but enjoyed some nice afternoon views of Everest. Lorie, Sangam and I made it to the top of Kala Pattar at around 3:30pm at 18,300ft. Lorie did an awesome job pushing through and making it to her goal! Everyone else is good but I believe ready to head down from the high altitude. So tomorrow we will start our descent back towards Lukla and eventually Kathmandu in several days. Tomorrow we will descend to Dingboche at 14,300ft. 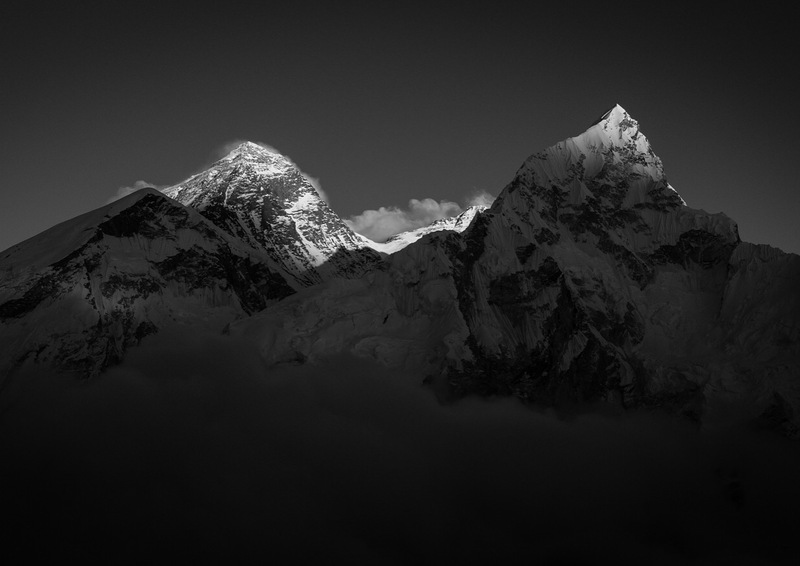 Below is a photo I took from Kala Pattar today as the sun was setting on Everest, Lhotse, and Nuptse. Thanks for following along, and congrats to the entire team for pushing themselves on this trek!